Store, sort and organize. Sturdy, compact organizer is designed for unequaled strength. 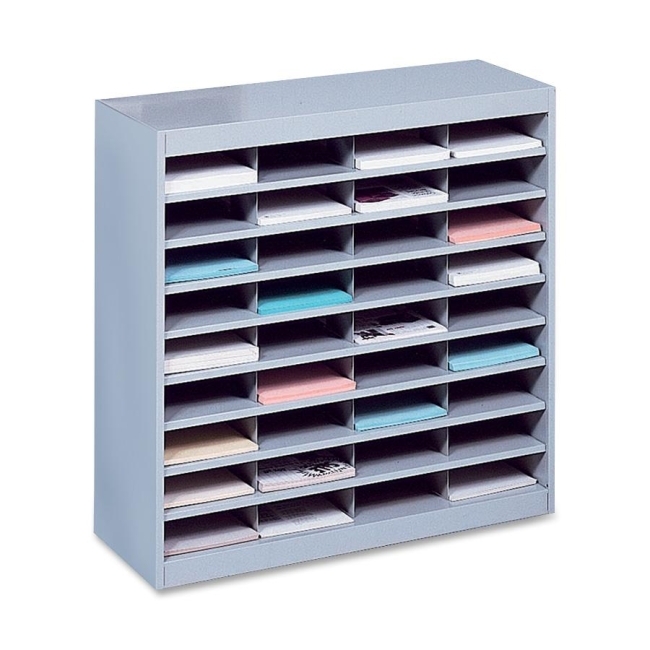 Double sidewall steel cabinet features steel shelves and dividers and a solid fiberboard back. No exposed nuts and bolts. Provides ample labeling space on shelf front. Letter-size compartments measure 9" wide x 12-1/4" deep x 3" high. Steel construction offers a baked enamel finish and is made from 50 percent recycled material.